The concept of privacy is most often associated with Western culture, English and North American in particular. It has strong ties with freedom and liberty and it is unknown in some cultures. Ability of an individual or group to govern level of information disclosure about themselves. I have designed a new decentralized Identity-Based Privacy (IBP) trusted model built around OAuth2, OpenID Connect (OIDC) and User-Managed Access (UMA) standards. 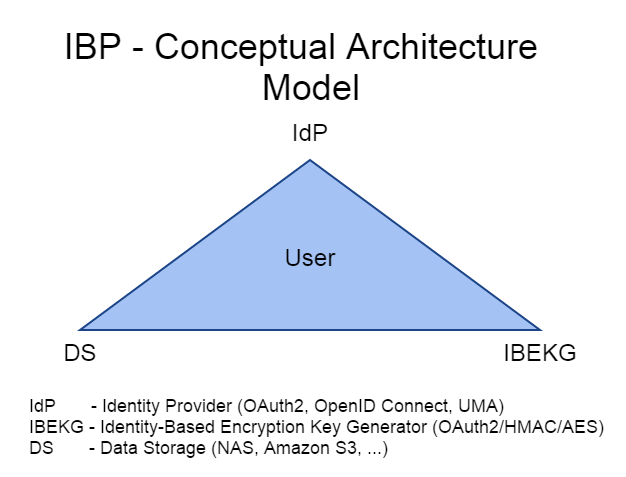 IBP model supports Privacy by Design (PbD) principles. Why Identity and not Anonymity to preserve privacy? Easy, Anonymity does not overlap with Transparency, but Privacy does. Privacy hand in hand with Transparency, are the fundamental stones of the modern world. Internet of Everything - meshed peer-to-peer communication between people, devices, and things. Secure Electronic Data Delivery Service - sharing encrypted information through data storage.